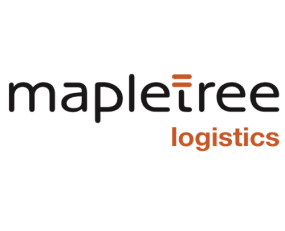 Mapletree Logistics (MLT) has posted a growth in gross revenues for Q2 2018. For the three months ended September 30, 2018, gross revenues stood at S$106.6m which represented an increase of 13.8% in comparison to the prior year period. The growth was mainly attributed to higher revenue from existing properties and acquisitions in Hong Kong completed in the previous accounting year. Sales for H1 2018 reached a total of S$212.1m which represented an increase of 11.9% year over year. The organic growth from its existing portfolio was contributed by the acquisition of two properties in Hong Kong. This was partially offset by the lack of revenue from four divestments, completed in the previous accounting period, and one divestment in Q1 2018 in combination with a weaker Australian Dollar. At September 30, 2018, MLT’s portfolio compromised of 139 properties. Property expenses increased by S$1.5m for Q2 2018. This was mainly due to acquisitions completed in the previous accounting year and higher operation and maintenance expenses. The increase was partly offset by divestments completed in 2017 and Q1 2018. The increase in revenues resulted in the amount distributed to unitholders, for Q2 2018, increasing by 32.5%, year over year, totalling S$63.9m. MLT will pay an advanced distribution of 1.893 cents per unit to unitholders on MLT’s register as at September 27, 2018 for the period July 1, 2018 to September 27, 2018.